I must admit I have been a bit slack updating my blog. So be prepared for a big influx of pictures to be uploaded to my blog. 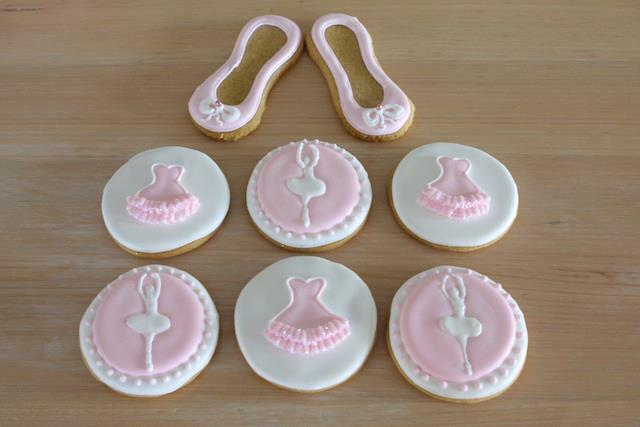 These cookies were for a little girls ballerina party, I just loved designing these, there is something about pink and white that makes it so easy to work with. 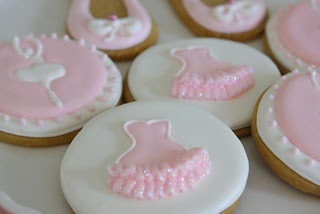 The tutu's were laced with edible glitter, they added such a pretty sparkle, pictures don't do them justice!